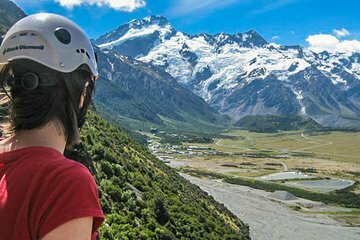 See some of New Zealand’s most stunning alpine scenery and learn the ropes of mountaineering on this overnight climbing excursion from Wanaka to Aoraki/Mount Cook. All transport, equipment, accommodation, and guidance is provided, ensuring a stress-free and safe adventure for beginners and experienced climbers alike. With astounding views and heady heights, experience some of New Zealand’s finest alpine terrain.